Get 14 days of FREE premium access until the week of the USC game, then pay just $39.99 for every five months! That’s a season of Longhorn football coverage, recruiting updates, and insider team notes from Justin Wells, Eric Nahlin, and Joe Cook, expert analysis from Ian Boyd and Scipio Tex, and the best Longhorn community on the web! This offer expires August 31, so make sure to sign up soon! 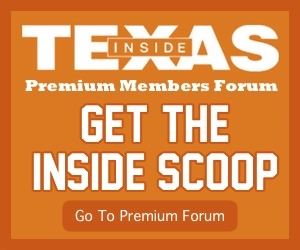 Click HERE to join Inside Texas today! The Longhorns want revenge against a team that manhandled them in Austin last year, 51-41, and Tom Herman needs some credibility for his Year 2 rebuild. Last year in Austin, the Terps led 30-14 at halftime, rushed for 263 yards, held Texas under 100 yards rushing, and QB Tyrell “Piggy” Pigrome efficiently lit up the Texas secondary on 9 of 12 passing for 175 yards. After Piggy blew out his knee late in the 3rd quarter, freshman QB Kasim Hill took over and coolly steered the Terps to a double digit win on the road, despite Maryland entering as a 15 point underdog. After a tumultuous offseason resulting from the likely preventable death of a Maryland player by heat stroke, head coach DJ Durkin was suspended on August 11th and 1st year Maryland offensive coordinator Matt Canada finds himself holding the big whistle on a staff that also features a new OL coach and two new defensive assistants. So is Maryland in total disarray? Or will they rally around their new leadership? 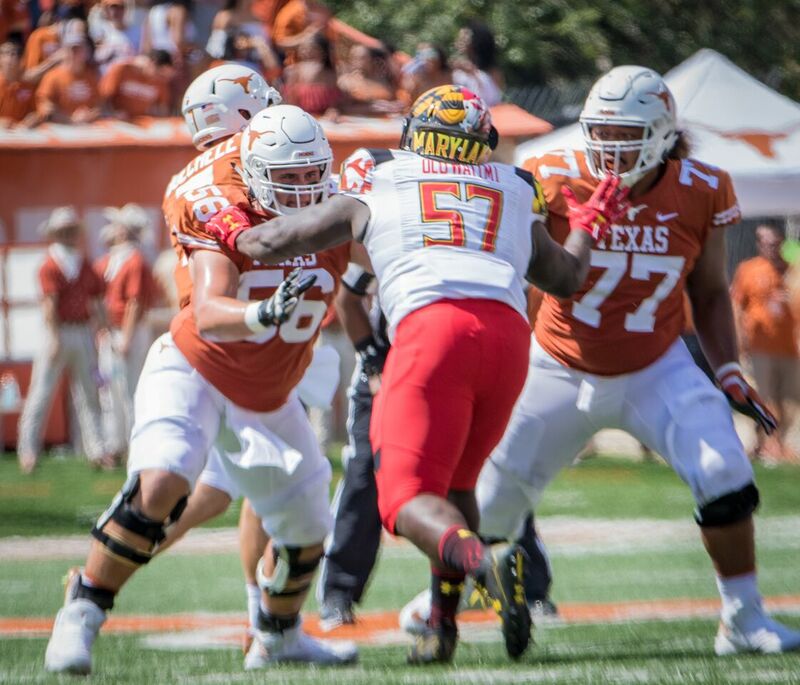 Texas finds itself as a double digit favorite in a de facto road game. We’re a few days from finding out if that’s justified.